An essential factor in starting a business in Botswana is to thoroughly research the business sector you are planning to invest in. Healy Consultants recommends our Client prepare a detailed business plan including an extensive market study and evaluation of competitors. What is the minimum share capital requirement for starting a business in Botswana? Minimum paid up share capital is US$1 when registering a company in Botswana. How many directors and shareholders are required for registering a company in Botswana? Only 1 director and 1 shareholder are required for business registration in Botswana. Is it mandatory to have a resident director or shareholder for Company Registration in Botswana? A Botswana company must have at least 1 resident director, but there are no requirements for resident shareholders. How to register a business in Botswana? For business registration, our Client will be required to i) reserve the company name ii) supply the Botswana office lease agreement iii) sign the company setup forms iv) register for tax and social security and v) obtain a business license. Healy Consultants’ experts are Botswana incorporation specialists and will assist our Clients at every step. 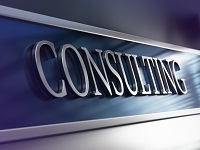 Can Healy Consultants assist my firm with Botswana subsidiary company registration? Yes. Our Botswana business registration services include i) business registration ii) business license registration iii) immigration solutions iv) employment strategies v) business banking solutions and vi) office rental requirements. Success tips when doing business in Botswana!